Our number one goal is to deliver the best care and consistently make your dental visits a pleasant experience. We also want our patients to be informed about any dental issues they face and treatment options–informed patients make better decisions about their health and well-being.That is why our website covers a full array of topics associated with cosmetic and general dentistry and treatment options. We encourage you to review this information to help you understand any dental concerns you may face. Please feel free to contact us with any dental concerns you may have. East Springs Dental offers comprehensive general dental care to our area. Whether you need dental exams or X-rays, we provide high-quality and friendly service that you’ll love. At East Springs Dental, we provide expert emergency dental services for those that have suffered serious injury. When you have a dental emergency, don’t wait until it’s too late before contacting our team. Your smile says a lot about your personality and your lifestyle—don’t you want it to be perfect? If you’re unhappy with your smile, let the cosmetic dentistry experts at East Springs Dental change your world. Dr. Clark believes cosmetic dentistry is a treatment choice and most of all, an attitude. Whether it is well done white fillings, or teaching a person how to care for their teeth, all these things matter in the beauty of a smile. He thinks all people have the ability to have a great smile in the style and on the budget that is right for them. I had always been self-conscious about my teeth and for several years had considered getting braces. But as a thirty-something mom of two, traditional braces were not the route I wanted to take. I had heard about Invisalign braces and upon further study decided that they might be a great fit for me. Earlier this year I finally chose to get Invisalign and it has been one of the best decisions I’ve ever made. The aligners were comfortable to wear and very easy to take care of. I loved having the freedom to take the aligners out and eat whatever I wanted. Plus, no one ever knew when I was wearing them! I love my new smile and can’t believe it only took nine months to get it. The entire experience far exceeded my expectations. My only regret is that I didn’t get them sooner! We had the best experience at East Springs Dental! Dr. Clark and his team are awesome! My 4 year old needed some work done and I was dreading the appointment. They were so kind and gentle with her though! It was over before we knew it! I was so relieved. 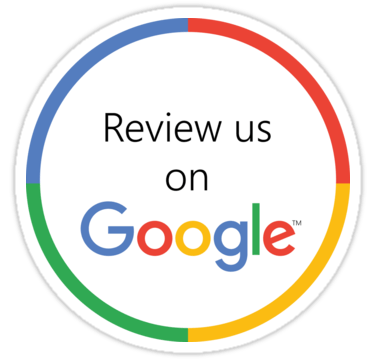 We have no complaints, and I highly recommend them! I have been seeing Dr. Clark for three years now and I have been satisfied since day one. I tried a few dentists in Louisville and was less than happy with service, knowledge, and chair side manner of the dentist. If you want a very knowledgeable dentist with extensive experience that cares about the patient then Dr. Clark is a must. I always hated going to the dentist, but going to visit Dr. Clark has always been a pleasure. Dr. Clark does a great job, and his staff is always friendly, and make scheduling a breeze. Used to hate going to the dentist but now that I've found this place it doesn't bother me at all. I know I'm in good hands. Recommend to anyone. Dr. Clark is great. Great staff and down to earth! Love the new office on Poplar Level!